If you don’t want to be making up a bed every evening whilst on holiday then you’ll want a fixed bed layout. We have a wide selection of fixed bed layouts to suit all tastes and budgets across our branches in Wiltshire, Oxfordshire and Berkshire. With flexible finance options and great part exchange prices, let us help you find the right caravan layout to suit your requirements. If you would like a little bit more room within your bathroom then you’ll be wanting a caravan with an end washroom. 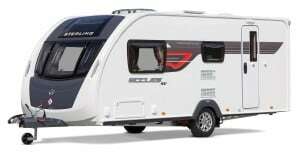 We have a large range of used end washroom caravans in stock and remember, all our used caravans comes with a free one year warranty. Get in touch today and we’ll help you to find your dream caravan.